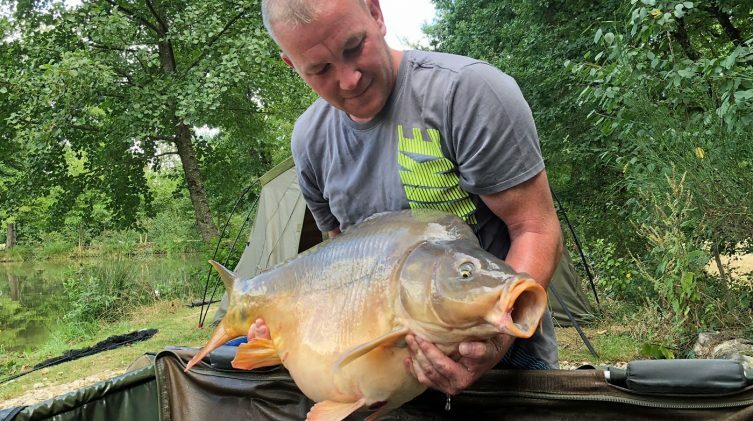 Testing knots before putting a rod in the water is not something all carp anglers do regularly, and losing a fish because the line or the knot has failed is relatively rare on most venues. At Beausoleil, because of the fish you’re targeting, the wrong line or a poorly tied knot could cost you the very fish you’ve come for. 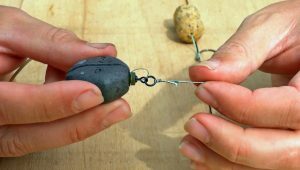 This is something I’ve learnt here over the years after watching countless anglers have mainline failures on catfish most of the time, but on carp as well. Time and again, anglers would lose fish for the same reasons: bad line, poorly retained tubing, bad knot or the fish was too quick and cut you off on the rocks. There’s nothing you can do if a 100lb+ catfish manages to cut off your line above the tubing but for the rest, line, tubing and knot, it’s something you can control. That’s why we’ve now changed our rules and recommendations for mainline and tubing and as a result we are seeing fewer losses. In fact, in 2017, a record number of 100lbs+ catfish was caught thanks to Berkley’s Big Game in 25lbs. Do you know how strong your knot is? One thing that I still see regularly though is (unknowingly) poorly tied knots. It happens to me too! You think it’s tightened down properly but if you pull on it hard enough, sometimes it’ll break. “Pulling hard enough” is quite arbitrary so for that reason, I started to use a bucket filled with water to 20lbs. This is a very severe test but one that I believe is realistic for the venue given the fish and the nature of the lake. That’s what I used for our line testing when we were trying to find out just how good/bad various mainlines were. Can your knot pass the KBT? Yes, a silly acronym… it’s the Kettle Bell Test! 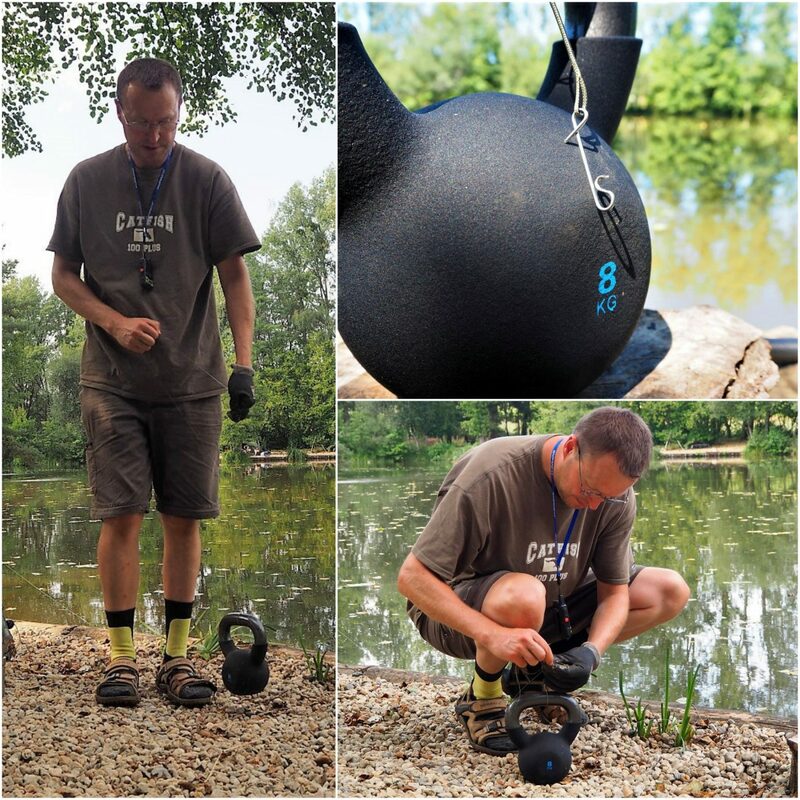 To make knot testing easier and more consistent, we have now put a kettle bell of 8kgs (17.6lbs) in the Point swims, Big Double and Island point swim. 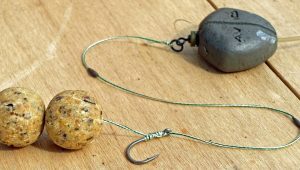 If you are fishing in home swim or catfish corner, simply grab a bell from an un-fished swim and move it where you’re fishing. 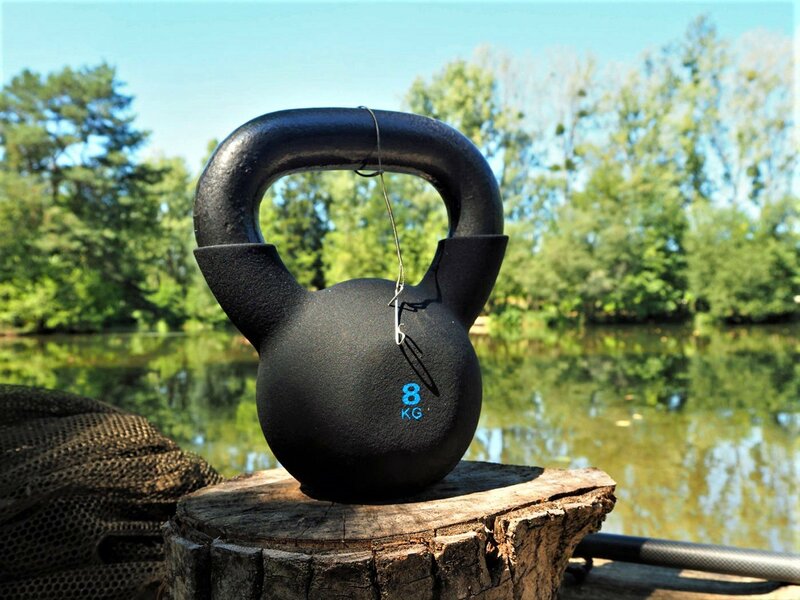 Each kettle bell has its own heavy duty quick clip which is perfect for attaching to your quick link or swivel. Then, it’s simply a case of grabbing a catfish glove to protect your hand, wrap a few loops of line around it and lift gently. As long as the kettle bell leaves the ground by a few inches for a few seconds, it’s a pass! Trust me, you only need to see your knot fail once and you won’t like it. During my summer session this year, I bust three blood knots on the trot when I became tired and the skills were getting a bit sloppy. It would have been very easy to say, sod it, that will do but I knew that if I did hook a monster I’d need everything I had to bank it safely. 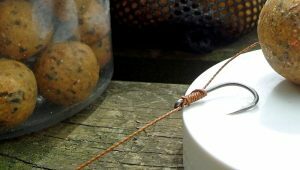 Whether you’re fishing for carp or cats, it is absolutely critical that you test every single knot you make every time. You don’t want your knot to cost you a fish. 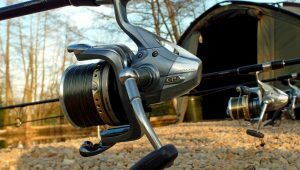 Spool with 25lb Berkley Big Game (or higher), put 1 metre of tubing, test your knot: you’ve now exponentially increased your chances of banking that dream fish. 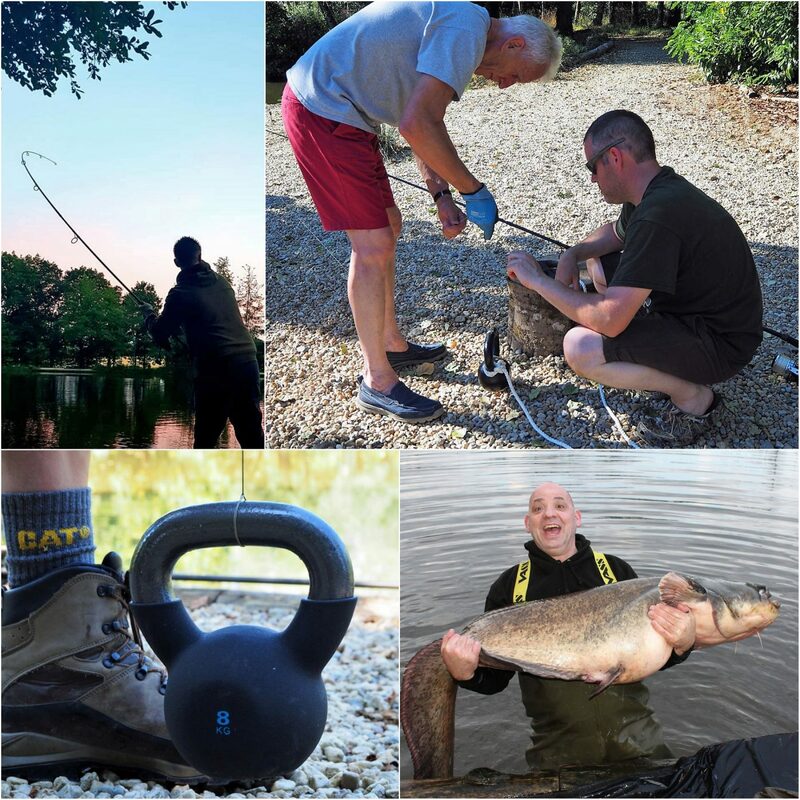 Beausoleil is a technically demanding, challenging venue and you and your gear will be tested to the limit and beyond. That’s the beauty of Beausoleil! If you have any questions regarding mainline, tubing or hooklink before your trip, just get in touch.